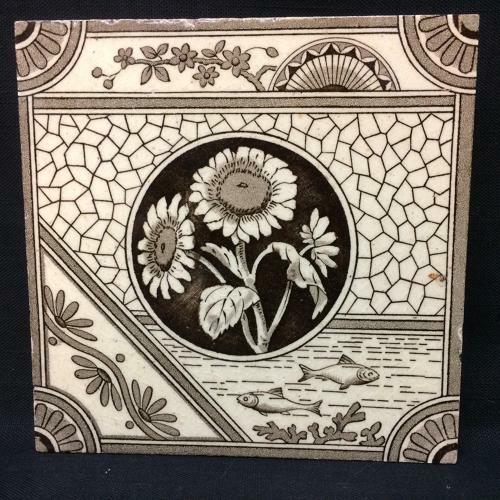 This large Victorian aesthetic 6 " x 6 "tile is transfer printed in brown. The pattern features a plethora of geometric whimsies mixed with Fish and Sunflowers. The pattern displays the Victorian eras love of nature. Condition is great, never used. Few nibbles around the edge.